Alan Chadwick’s connection with Green Gulch Farm first began in February of 1972, after he left UC Santa Cruz. 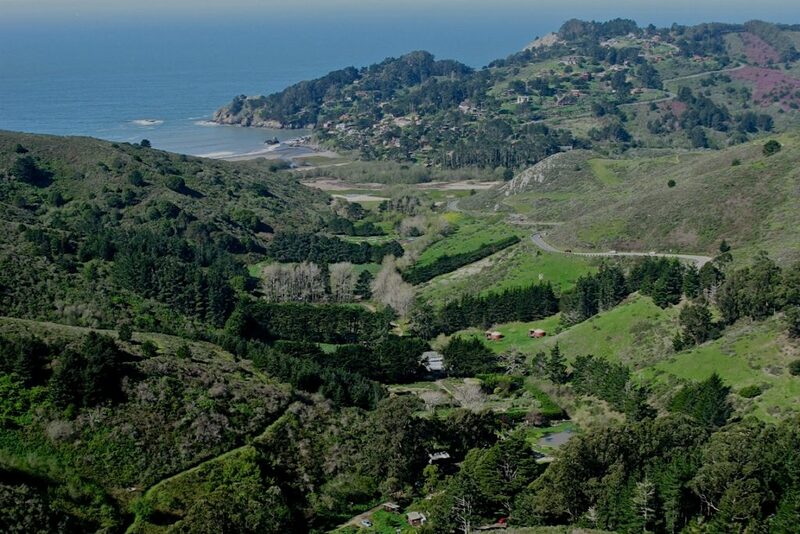 Richard Baker-roshi, the leader of the San Francisco Zen Center at that time, had met Alan in the late 1960s and asked him to come to their newly purchased farm near the Pacific Ocean and initiate a garden project to grow produce for the Zen Community. Paul Lee had introduced Alan Chadwick to Baker-roshi. A few Santa Cruz apprentices followed Alan to Green Gulch Farm to help him begin the garden , before Alan moved to Saratoga, California in February, 1973. The garden that Alan, these few apprentices, and zen students built no longer exists. There was a clash of visions between Alan and the Zen Community regarding how the garden work should commence and be carried out. Alan’s dawn to dusk work ethic and temperament did not meld well with the zen practice of ringing a bell, stopping mid-work, and going off to meditate. The growing of flowers and not merely produce for the kitchen, was another impasse as Alan’s gardens always had flowers growing amongst the fruits and vegetables. Flowers are now grown in abundance at Green Gulch Farm and it is a beautiful and productive setting. After Alan’s death, two of his apprentices designed and implemented the first elements of the gardens that exist there today. In May of 1973, after a brief stay in Saratoga, California, Alan moved to Covelo, Round Valley, California to begin what would become his largest garden project. Alan Chadwick returned to Green Gulch Farm with his caretaker, Kathleen Acacia Downs, at the end of 1979 and remained there until his death on May 25th, 1980. While there, Alan gave a brilliant, more intimate series of bedside talks to a few friends and gardeners, which were audio-taped. These audio tapes and transcripts will eventually be uploaded onto this website.